Colosseum Underground: Is It Worth It? If that doesn’t sound every bit as spooky as a catacomb, you’re not using your imagination. As crucial as the Colosseum underground once was, it only opened to tourists for the first time in 2010, and then only sporadically. (One reason was that it was flooded with rain, which remains a risk). Now, it’s open more regularly. As before, there are two main ways to visit the Colosseum underground: either by booking a Colosseum underground tour with a Colosseum guide, or by booking one of the few independent tour agencies that has the right to take you in itself. Either way, they don’t let you wander around the underground unaccompanied, so you have to take a tour. What has changed since 2010 is that the tour has become so popular, it’s rather annoying to book the official Colosseum tour yourself. When it first opened, you could only book by calling. Then you could online. Now, you still can book online — but you have to do it during a specific booking window. Reservations open the third Monday of each month for the month that follows. If this seems somewhat overcomplicated, welcome to Italy. (This scheduling, like all else, can change, so keep on top of it by checking the official Colosseum tour page here and scrolling down to the section marked “Notice” on the left). Don’t want to deal with all that? I get you. A few weeks ago, when I realized it had been (ahem) eight years since I last toured the underground, I skipped the Monday-for-next-month process and took a tour with Walks of Italy. If you’re a frequent visitor to my site, you know that I know these guys — I used to work with them and still stay in touch, which meant they were nice enough to gift me a spot. (Thanks guys!). They also happen to be the only agency allowed to use their own tour guide down in the Colosseum underground section, so I figured there was no better company to use. Of the two options, booking directly with the Colosseum itself is the shorter, and cheaper, tour: less than an hour and an extra €9 on top of the €12 entrance (which you have to book separately). 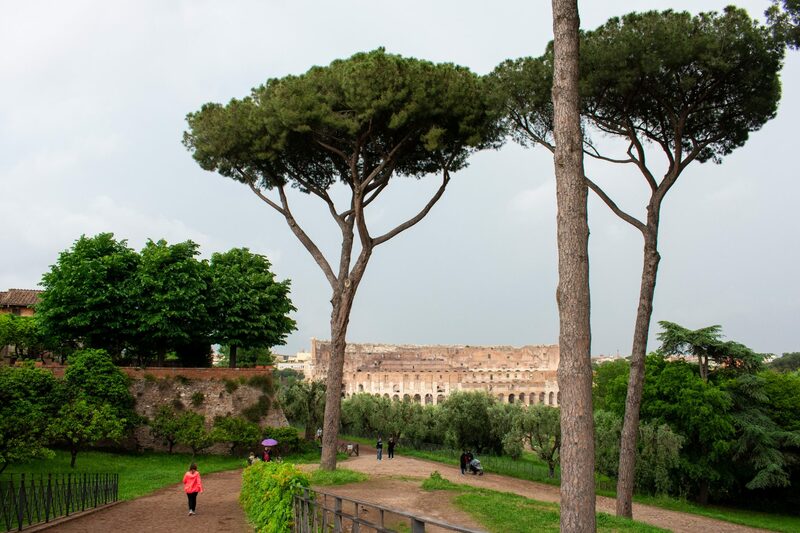 Like its competitor Dark Rome, which offers a similar tour, the Walks of Italy Colosseum underground tour includes the Palatine and Forum, so it’s a lot longer (3.5 hours) and more expensive (€95, which includes your €12 entrance). Okay, but no matter how I do it, is the Colosseum underground worth it? Right: Is either underground Colosseum tour worth it? And is the (far more expensive) Walks of Italy or Dark Rome underground Colosseum tour worth it? To be blunt, there isn’t a huge amount to see down there. There are rooms that would have been tunnels. 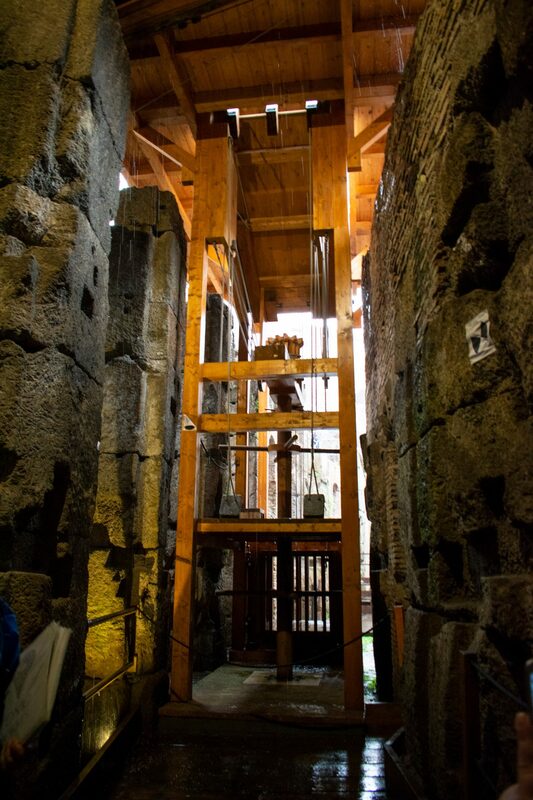 There is the recreation of an ancient lift, which is pretty remarkable. There’s the unique perspective of being above the arena, looking up (though this will disappear when they cover the arena back over, a new project in planning). But, and this is a big but: The Colosseum underground gives you a real sense of the cramped spaces the gladiators would have stood in — waiting, sweating, worrying (unless they were crazy) — and a sense of just how elaborate this whole operation was. This wasn’t bare-bones fighting. This was theatre. For that alone, it’s worth it. That’s not to mention the bragging rights of having seen a part of the Colosseum that most of your friends won’t have, of course. The Forum! So evocative. So full of stories. So easy to be zip through, bored, if you don’t know the background. 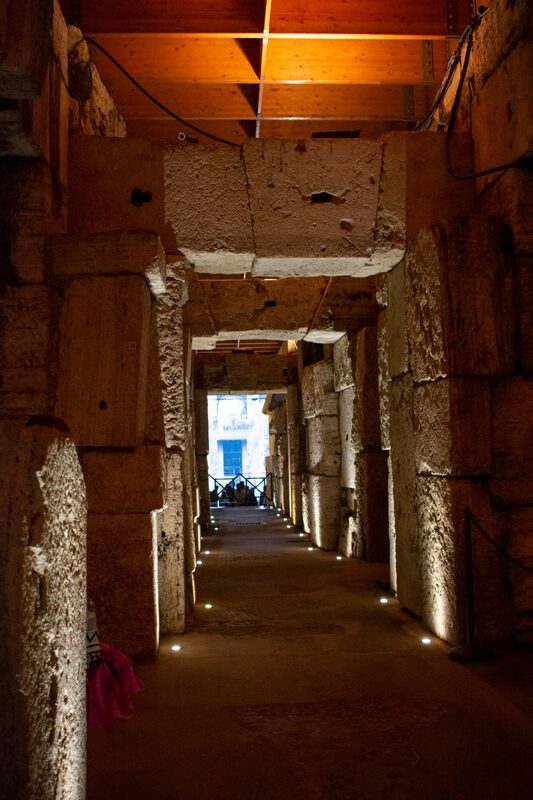 Should you do the Colosseum underground tour only or the whole shebang with Dark Rome or Walks of Italy? That depends, too. First, if you’ve never been to the Colosseum, Forum and Palatine before, or you did go, but didn’t get a full appreciation of what’s there — which is just going to be the reality if you went with only a guidebook and you’re not an ancient Rome expert — then a guided tour of the whole area is worth it. Trust me. 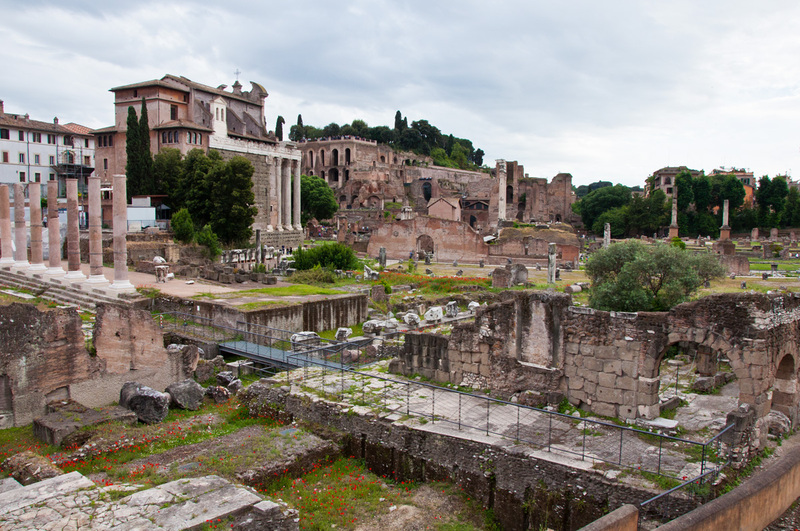 This is the part of Rome where Cleopatra walked and Caesar’s body was burned, where the Vestal Virgins lived and where emperors were murdered. You don’t want to miss these stories. But miss them you will, because even the best guidebook can’t bring them to life the way a good guide can. For that reason, I usually tell people that if they only do one tour in all of Rome, take it of the Colosseum/Forum/Palatine. Yes, even over the Vatican. That means, for me, a tour like the Walks of Italy one is indeed worth it. 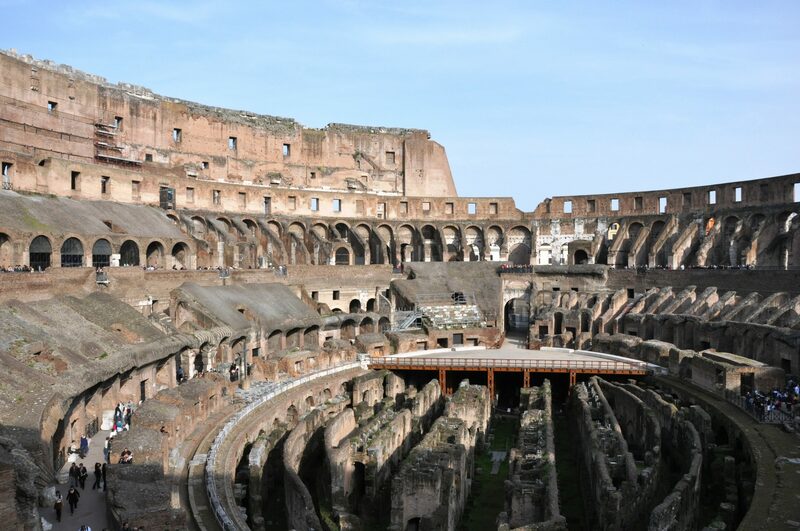 But I’m a huge history nerd, so my one gripe with the Walks tour was that making just three or four stops in the Forum and a couple on the Palatine before arriving at the Colosseum made the tour feel rather short. (There’s so much more there!). Of course, this is the problem with any group tour, even a small group tour: You’re going to be on a schedule. But did most of the other visitors seem to think that we were curtailing our time by spending only 45 minutes in the Forum? Of course not. Still, be warned. If you are an ancient Rome obsessive who wants to loiter around ruins all morning, any group tour, obviously, is not for you. (Let me introduce you instead to the idea of doing a private tour with Context, the tour agency whose expert guides can talk for literally hours about any given site…. that, or watching a bunch of documentaries and going it on your own). 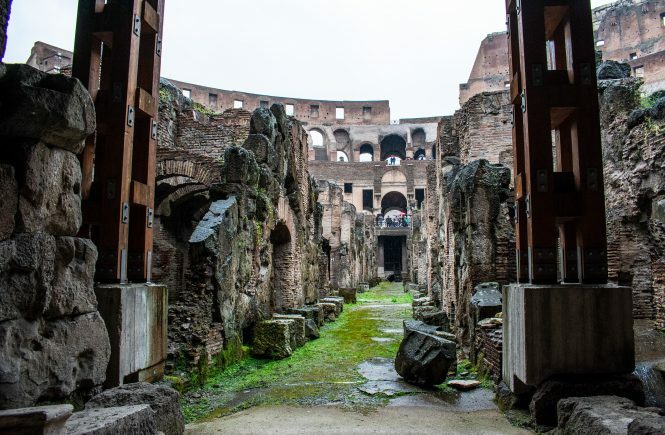 For the rest of us, is the Colosseum underground worth it — including on a longer tour? Thanks for this. I will be in Rome with friends and family next month and we booked a private underground tour which include the forum and Palatine hill, regardless to say I CANNOT WAIT!